Policing in the EU: A Way Forward? Part 2. In two posts Dr.Iyiola Solanke examines the issues of race and policing within the EU. 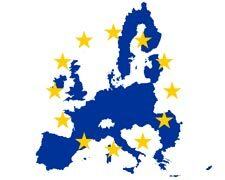 The first post summarised the Matrix Chambers and Leeds University School of Law Seminar on Black Experiences of Policing in the EU, held on the 24th May, while the second post goes on to examine the EU framework governing EU wide policing. An agency was created to carry forward this task: CEPOL, or the European Police College. CEPOL cooperates with a wide range of senior police colleges and institutions within the EU as well as law enforcement agencies such as Europol and Interpol. It has working agreements with non-EU countries (Norway, Iceland and Switzerland) and relationships with non-EU countries and different universities and research institutes. One of its tasks is to disseminate best practice and research findings but its main purpose is to train senior police officers of the MS and develop a ‘European approach’ to the ‘main problems facing MS in the fight against crime, crime prevention and the maintenance of law and order and public security, in particular the cross border dimension of those problems.’ In other words to develop an EU police service. To create this European approach, CEPOL has developed Common Curricula (CCa). The subjects of the Common Curricula are determined by the CEPOL Governing Board together with the key EU institutions (European Commission, Council of the European Union, European Parliament). The number of Common Curricula has grown from four in 2004 to ten in 2012. 4. Risk management in the field of police ethics and prevention of corruption. Yet given the seriousness of the issues, this is somewhat unsatisfactory: problems with the level of service given by the police to black Europeans are blurred and buried. It is worth thinking about whether race and policing warrant the creation of a specific strand in the CCa. This would give the issue an important profile across the EU and at all levels of policing in the member states. The impact would be significant if CEPOL were to organise an activity on race and policing. CEPOL functions primarily as a network and its activities – courses, seminars, conferences and meetings – are implemented in and by Member States, mainly by the national senior police training colleges. It organises between 80 and 100 courses, seminars and conferences per year on key topics relevant to police forces in Europe – surely at least one of these should focus on the interests of black citizens? According to its literature, ‘In 2007, over 1900 senior police officers attended CEPOL activities. More than 700 experts, lecturers and trainers contributed to CEPOL activities. A vast majority of the experts, lecturers and trainers were senior police officers, whom together with the participants form a competent and experienced network for future European police cooperation.’ A CEPOL programme would therefore not only be of great value but is also clearly needed – in its survey on Police Education and Training in the EU in 2006 only one member state had a training programme on diversity – the UK. There is not only the absence of specific training to consider, but also the further future use of the CCa. The Common Core Curricula are likely to form part of the European Training Scheme being developed as part of the Stockholm Programme. The Stockholm Programme refers to a “systematic European Training Scheme” (Chapter 1.2.6) which is meant to offer systematically accessible EU training to all law enforcement officers active in the implementation of the area of freedom, security and justice in order to foster a genuine European judicial and law enforcement culture. This includes judges, prosecutors, judicial staff, police officers, border guards, and customs officers. The Council tasked the Commission with examination of what could be defined as a European Training Scheme. CEPOL conducted a surveyto help the Commission get an initial overview of the law enforcement training activities related to cross-border cooperation in the EU provided in and by Member States and international organisations. The survey closed in January 2012 and the data is now being analysed to get an idea of who is doing what training and what is still required. The Commission will present a Communication on a European Training Scheme policy that will form the basis for the implementation of the ETS. It is again questionable whether the ETS will include race or diversity – the questionnaire identified non-discrimination, human rights and diversity as ‘specialised’rather than ‘basic’ training and only asked whether ‘more training is required’ in relation to fundamental rights. ‘How can governments across Europe ensure that police services are delivered in the best way possible for the sake of their citizens? How can policing in the 21st century be organised in the most efficient manner while at the same time ensuring that human rights and the rule of law are observed without compromise? How should ‘good police practice’ be achieved in the European area of freedom, security and justice’? Answers to this question are readily available: the question is whether anybody is listening. CEPOL will be an important body for the development of policing in the EU – it may therefore be one to watch for those concerned with race, violence and policing in Britain and beyond. CEPOL has expressed a desire to work with NGOs, and it should do so to ensure that every law enforcement official at every level in the EU not only knows the story of Stephen Lawrence but also learns the crucial lessons provided by his murder. This task would satisfy the obligation upon it in the Treaty – as a formal EU agency, it is covered by the duty to serve the interests of its citizens as laid out in Article 13 TEU. Anything less may constitute a failure to act. This entry was posted in Discussion and Debate and tagged Iyiola Solanke by eutopialaw. Bookmark the permalink.